Anxiety was traced by the CSHL team to the brain's central amygdala, and to increased excitation of neurons that express the peptide somatostatin (SOM+ neurons). This initial step is demonstrated in these images, by comparing the amount of pink and blue fluorescence in the bottom right frame as compared with the frame directly above it, showing the central amygdala in mice not experiencing anxiety. The full pathway involves additional steps and identifies dynorphin, a signaling molecule, as a possible anti-anxiety drug target. 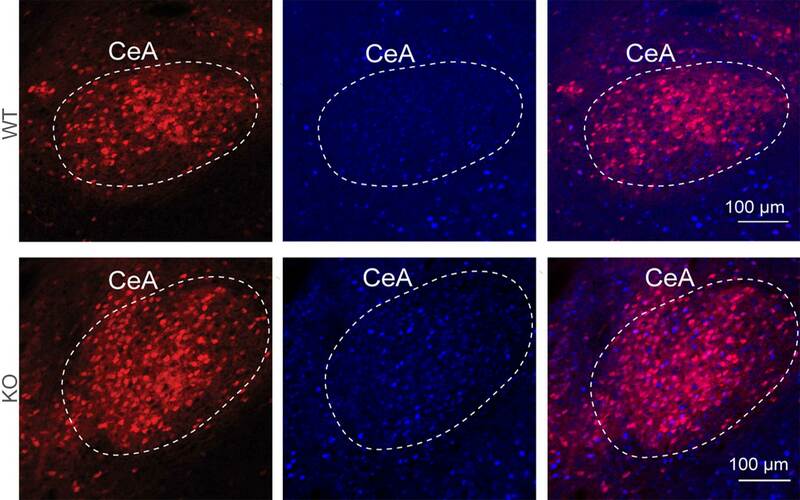 Researchers have identified a circuit in the brain's central aymgdala that drives anxiety. 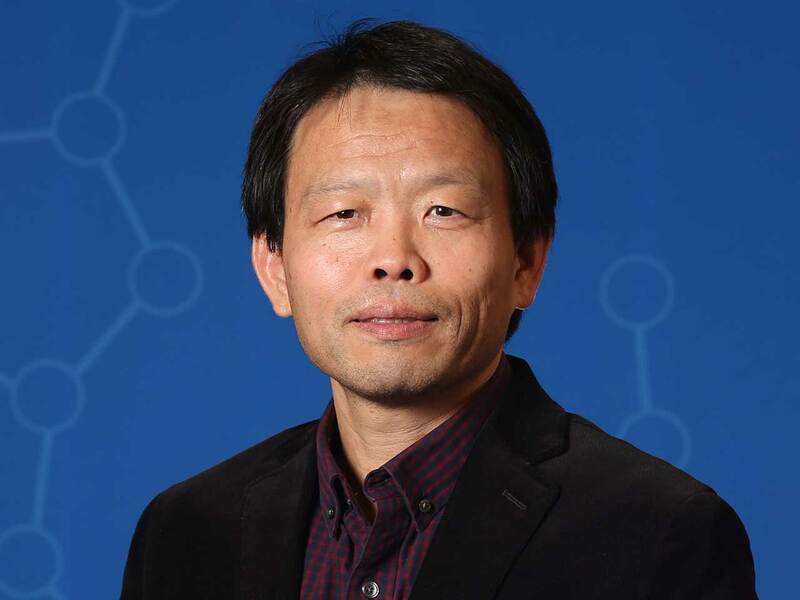 The findings reveal a peptide, dynoprhin, as a potential target for future anti-anxiety drugs. Cold Spring Harbor, NY — Neuroscientists at Cold Spring Harbor Laboratory (CSHL) have identified a neural circuit in the amygdala, the brain’s seat of emotion processing, that gives rise to anxiety. Their insight has revealed the critical role of a molecule called dynorphin, which could serve as a target for treatment of anxiety-related disorders including post-traumatic stress disorder (PTSD). National Institutes of Health; NARSAD/Brain and Behavior Research Foundation; Louis Feil Trust; Stanley Family Foundation; Simons Foundation; Human Frontier Science Program; Wodecroft Foundation; CSHL and Northwell Health Affiliation; CSHL Cancer Center Support Grant.